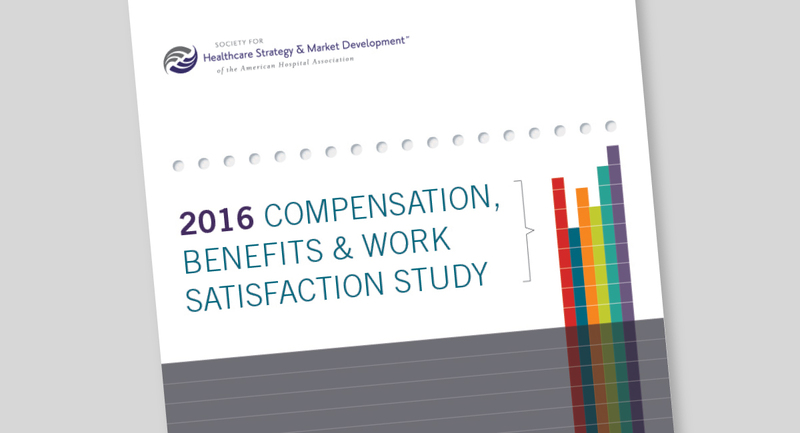 Each year, the Society for Healthcare Strategy & Market Development (SHSMD) releases the 2016 Compensation, Benefits, and Work Satisfaction Study. This report provides an in-depth analysis of salary, compensation, and work satisfaction for healthcare marketing, communications/public relations, and planning professionals. We created a clean slate on which to illustrate the report findings, with bright color accents to add energy.